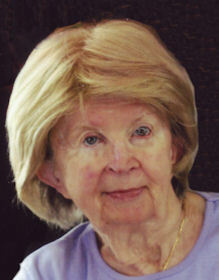 Dorit M. Sutton (nee Bache), 81, of Lorain, died Thursday August 23, 2018 at Cleveland Clinic Avon Hospital. She was born July 24, 1937 in Berlin, Germany and had resided in Lorain most of her life. Dorit worked for the Continental Can Company as a Statistical Typist for 11 years retiring in 1966. She was a member of First Evangelical Lutheran Church in Lorain, a member and past president of Lorain Liedertafel, a member of the Black River Historical Society, VFW Post #451 Ladies Auxiliary, Friendship APL and served as a trustee on the Lorain International Festival committee. She is survived by her son Steve Sutton. She was preceded in death by her husband Edward Sutton in 1998, parents Heinz and Charlotte Bache (nee Vogel) and sister Barbara Middleton. Friends may call Thursday August 30th from 1:00 pm until the time of funeral services at 2:00 pm at the Gluvna-Shimo-Hromada Funeral Chapel, 3224 Broadway Ave, Lorain. The Rev. Dan Wenger will preside. Private burial will be held at Ridge Hill Memorial Park in Amherst Township. First Evangelical Lutheran Church, 1019 W 5th St, Lorain, OH 44052 or Friendship APL, 8303 Murray Ridge Rd, Elyria, OH. 44035.